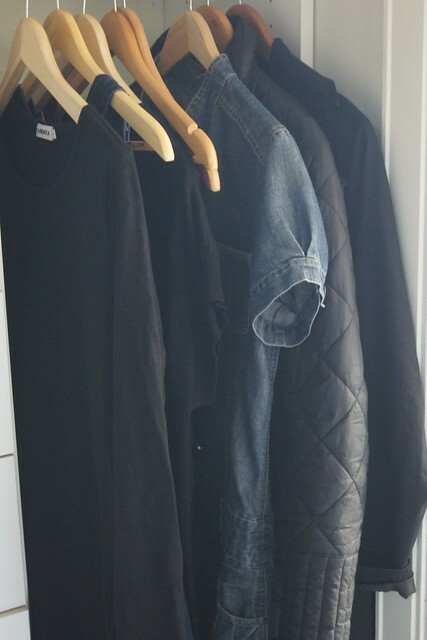 About two and a half years ago, I made the decision to simplify my wardrobe. It was one of the best decisions I have ever made and I have continued to keep my wardrobe super simple since that point. 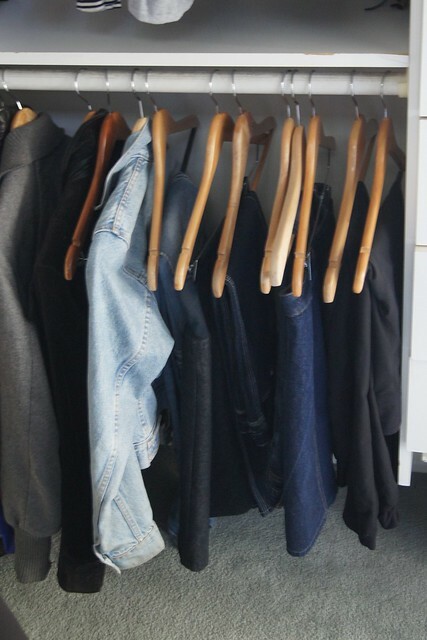 For the full process I undertook when I first made the change you can read this post – How to simplify your wardrobe. 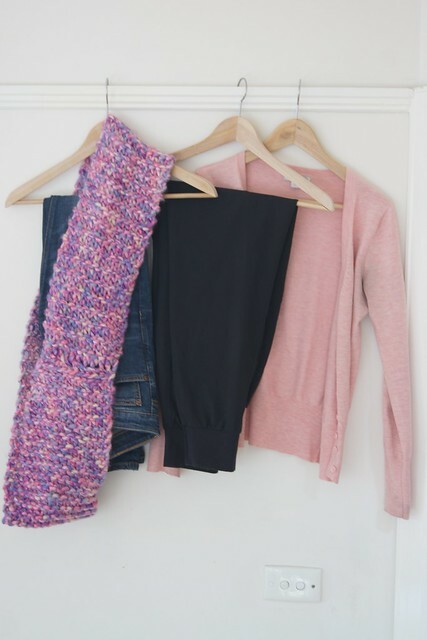 Many readers have asked questions in the annual survey and via email about whether I have stuck with it, how I find it and what my wardrobe looks like now. I change my clothes over about twice a year and as part of my habit of decluttering for 2018, I went through my wardrobe again in early May, but this time took some photos so you can see what it looks like. It goes without saying that I am not a fashionista! Nor am I an expert on capsule wardrobes etc, but I have become much better at living with less clothes and I really love it. 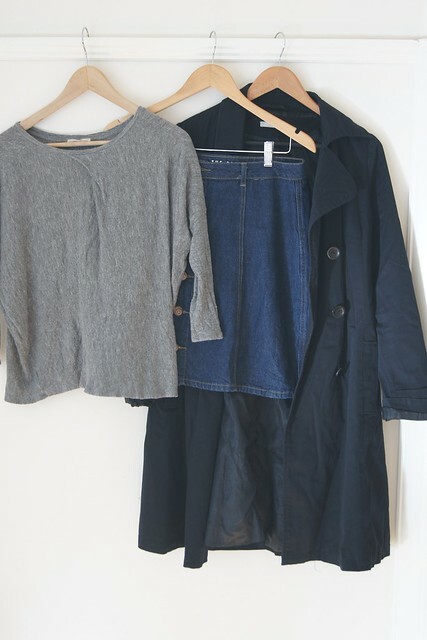 In my last summer wardrobe edit, I think I could have halved the clothes again as I only really wore half of them. It is a little early to tell with my winter edit, but I am sure the same thing will happen. I will find some outfits that I really like and wear them most of the time! I am really trying to make my wardrobe as sustainable and ethical as possible. All recent purchases have been either second hand or from ethical fashion companies. 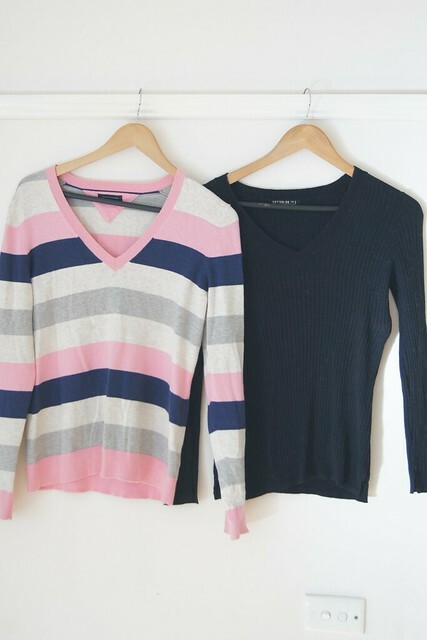 I still have a number of pieces of clothing that are from “fast fashion” outlets and keep them to ensure I get maximum use out of them, to lighten their environmental impact. As I do not have a big budget for clothes, I have to be very planned about what clothes I buy and how I purchase them. In a recent trip to Savers, I managed to pick up four tops and two pairs of pants for $55. May is also the month of my birthday and Mother’s Day so when asked what I would like for my birthday by my gorgeous tribe and my family, I sent them links to ethical brands with a few links of clothing items I would like that they could choose from if they wanted too. I know what items I want to buy to compliment my existing wardrobe. I look only for those items. I am prepared to leave empty handed. I have time to thoroughly browse the racks. I am prepared to try on many, many items. As you will see I gravitate to pretty basic colours and styles in my choice of clothing. Keeping the colour palate fairly simple means I can mix and match things very easily. Many would find this boring, but it works for me so I stick with it! 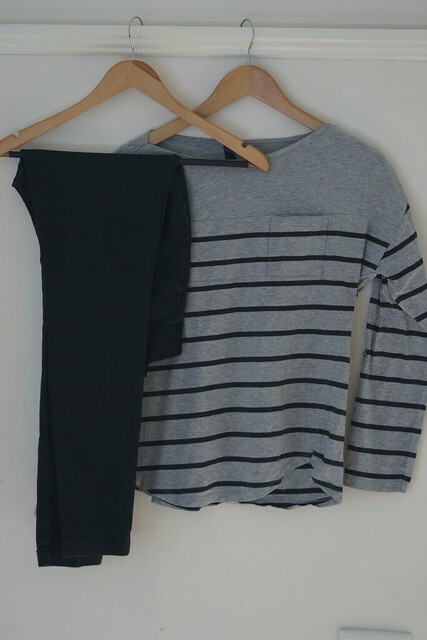 Jeggings and stripey top are both from my recent trip to Savers! Riders jeans and stripe top are also from my recent trip to Savers. BOODY Bamboo Scoop Top – Black and denim dress from a local op shop bought late last year. Handmade denim skirt bought 2017 from Anglesea Market. Gorman jumper a birthday gift from my sisters in 2016. 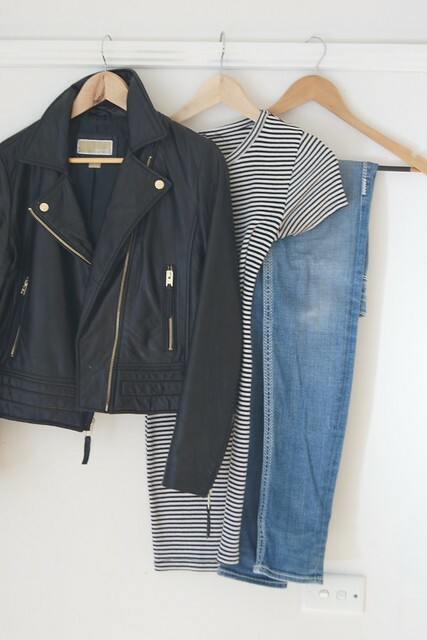 Leather jacket and stripey top bought on my 2015 trip to New York City. True Religion Jeans bought on my first trip to America in 2011. They were an expensive purchase but they have lasted super well. Denim jacket from my New York trip, black woollen dress from Target bought over five years ago. BOODY Bamboo Scoop Top – White – these bamboo tops are so soft and comfortable! 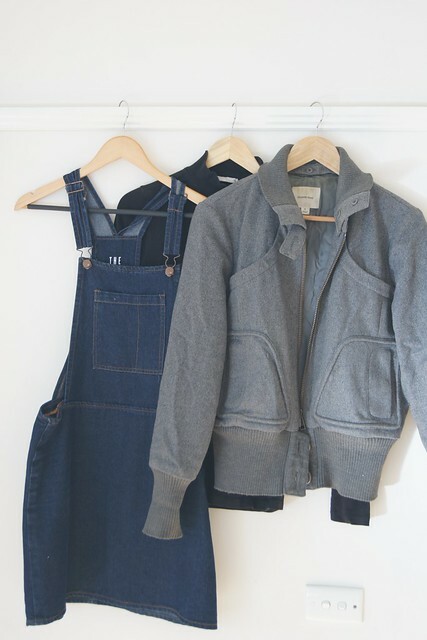 Cotton On Denim Pinafore, black skivvy and Country Road grey bomber jacket – another birthday present from my sisters. Stripey jumper another present from my sisters many years ago, black jumper from local op shop. Black velvet jacket from the swap rack at my gym (thanks Sal!) 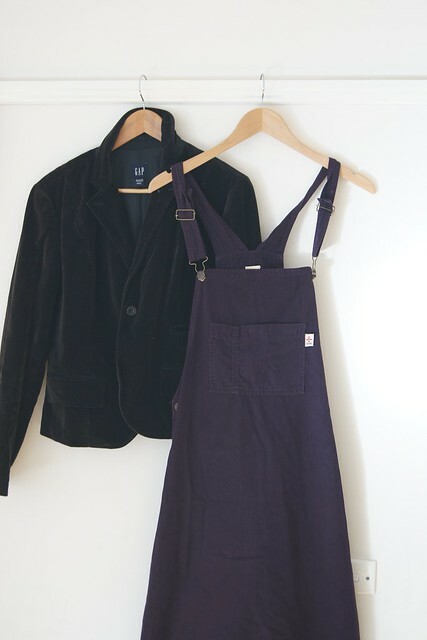 and Stussy pinafore which I have had for over 20 years! Scarf made by my dear friend Cath for a birthday gift one year. Nudie Jeans which are 100% organic and vegan. Nudie Jeans aim for sustainable consumption patterns by offering free repair service, reselling second hand products and recycling worn out products. Patagonia Happy Hike Studio Pants which I completely adore and wear all year round. Patagonia have mission to build the best product, cause no unnecessary harm, use business to inspire and implement solutions to the environmental crisis. And a pink cardigan from Cotton On which I have had for over five years. 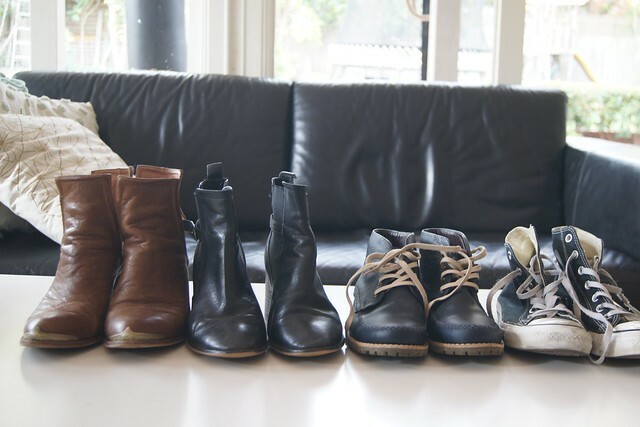 Brown boots, black boots, Converse black boots and gorgeous blue boots from MAMAHUHU®. 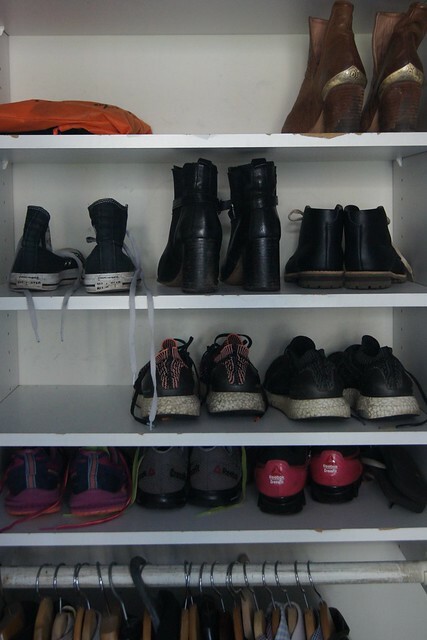 These boots are made by hand in Bogotá, in fair trade conditions and they send you information on who made your boots. This was the latest birthday gift from my sisters and I so love this dress. 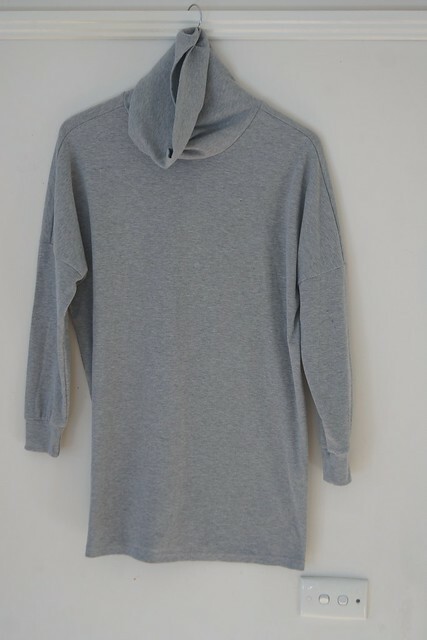 It is from Byron Bay label Annukka. 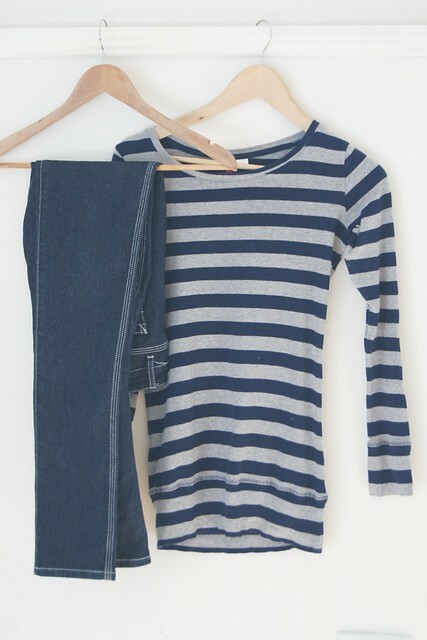 It is such a comfortable dress to wear and is made using organic cotton and eco friendly inks. These items save me each winter. A couple of years ago on the suggestion from a reader of the blog, I went and bought white and black thermal tops from Katmandu. They are thin enough to wear under clothing without feeling bulky and they really do keep me so much warmer. The jacket was a present for my birthday last year from my husband and the kids. 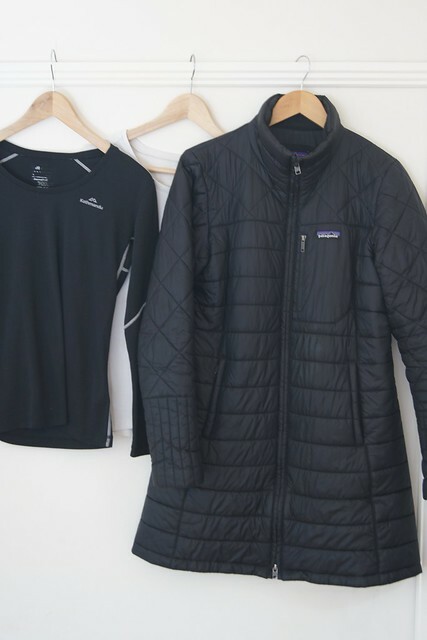 It is from Patagonia also and it keeps me so warm on the walks to school in winter and at the kids Sunday morning sport. And these two were this year’s Mother’s Day present and birthday present from the husband and kids! 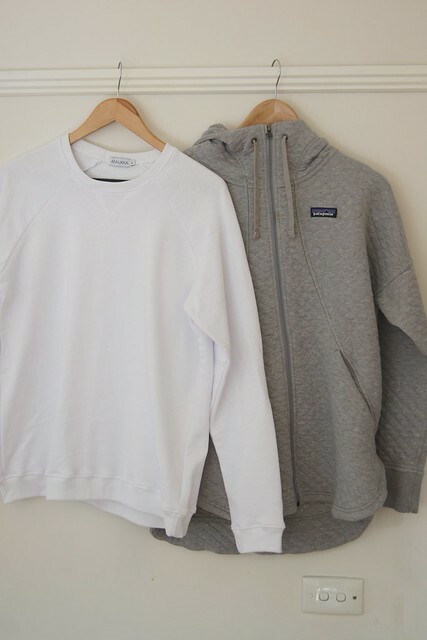 Annukka white boyfriend sweater and Patagonia Hoodie. So in total excluding gym gear and a couple of evening dresses, there are currently 38 items in my wardrobe. 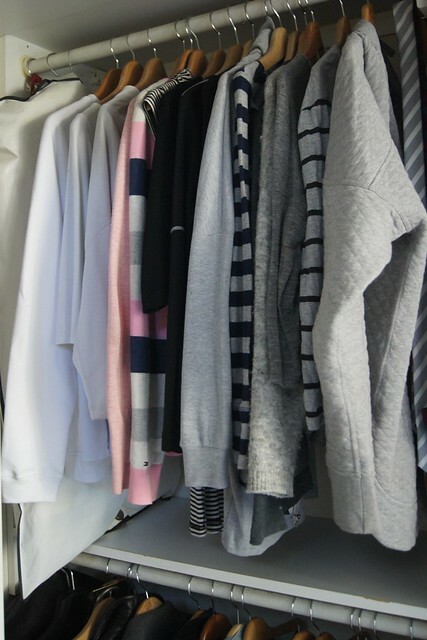 It makes keeping my small wardrobe tidy super easy and I spend very little time thinking about what to wear as it is simplified and not cluttered. May continued on well from the progress I made in April. The most successful strategies I use to help me with this are mediation as mentioned last month and deep breathing. Just the simple act of pausing, taking some deep breaths can allow me to release my attachment and move on (sometimes at least 🙂 ). ~ E.E. Cummings Using the mantra of "it's their turn" has been super useful in helping me focus on what people are saying and not interrupting or not really listening and just waiting to have my turn to talk. ~Rose Milligan We did some pretty simple things this month, not completely new but things we haven't done very recently or enough of like climbing trees and nature walks. ~Rumi May was very much about really focusing on my running technique and not just blanking out when I run. It has been really exciting to see some significant improvement as I put more into my training. ~Anna Elise As noted above, major project for May was my wardrobe. 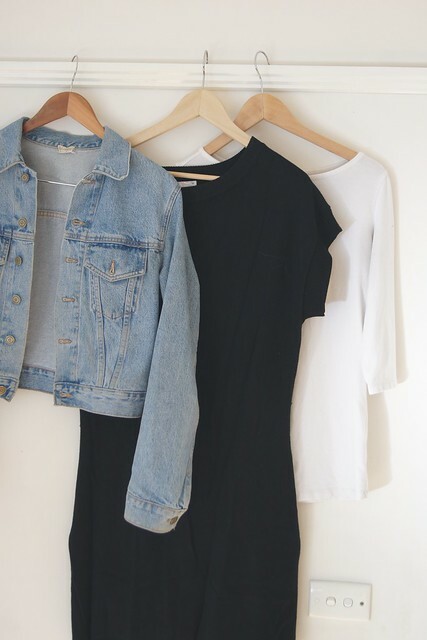 Have you simplified your wardrobe? I would love to hear about your experience!